This article provides a high level overview of the 4 easy-steps you need to take when setting-up your Observe module. The Mesma philosophy and approach for observation activity. We believe that when observations are done well they can support the development of practitioners. 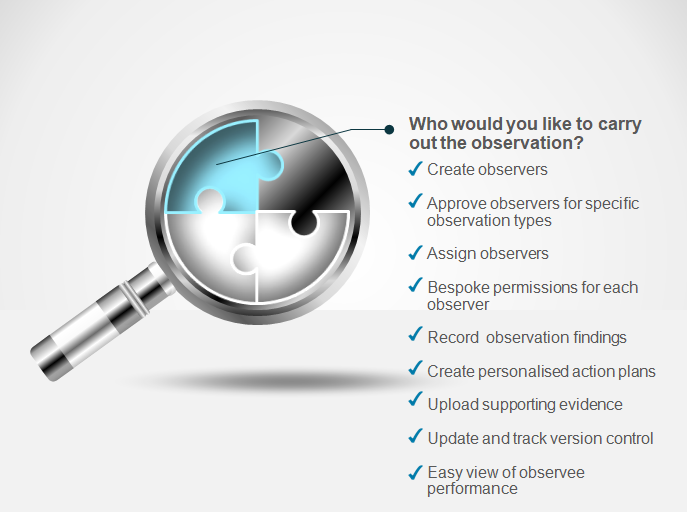 The Observe module helps you to oversee observation of practice and ensure it has a positive impact on the learner journey from start to finish. Our client’s prioritise observation activity which has a meaningful impact on the quality of delivery of the learner journey. It is designed to encourage personal reflection and peer observation as part of your wider quality improvement cycle. Observe is Mesma's observation cloud-based software tool. It will enable you to proactively plan, record, report and analyse observations. It is extremely flexible and allows you to develop bespoke templates to fit all manner of observed activities. This 4 step guide will help you to deign your own templates, develop sampling strategies, allocate your licences, set-up users and allow you to allocate observers. Step 1 - What do you want to observe? 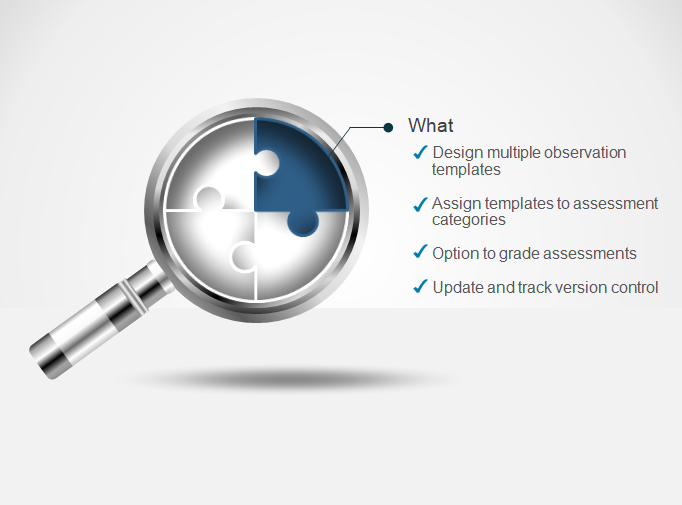 Many education providers have a raft of templates they use to observe different activities. Mesma allows you to create as many templates as you need. Although we have provided you will a grading option, many now choose not to grade so we have built in the ability for you to articulate an individuals good practice, area for development and support as well. 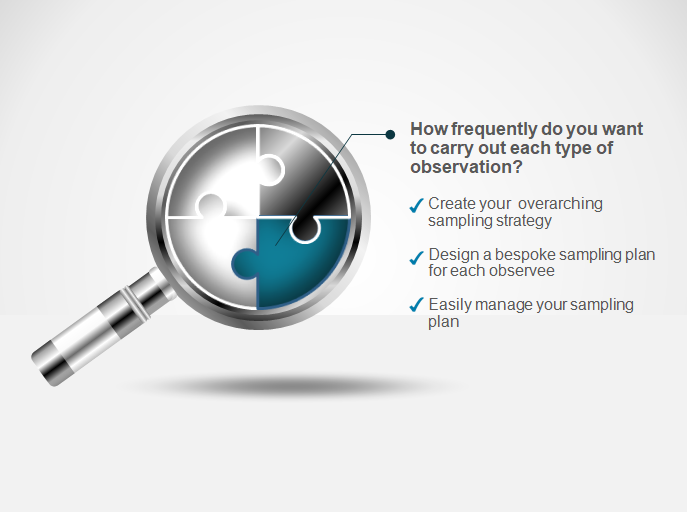 Step 2 - How frequently do you want to carry out each type of observation? Most education providers recognise the benefit of having a varied sampling plan to meet the needs of a wider range of practitioners skill and experience. Mesma allows you to define your overarching sampling strategy; for example, a new member of staff might need group teaching activity completed every month during their probation period, a qualified individual showing no signs of concern every 12 months or a qualified individual showing significant areas of concern every 4 weeks. Step 3 - Who do you want to observe? 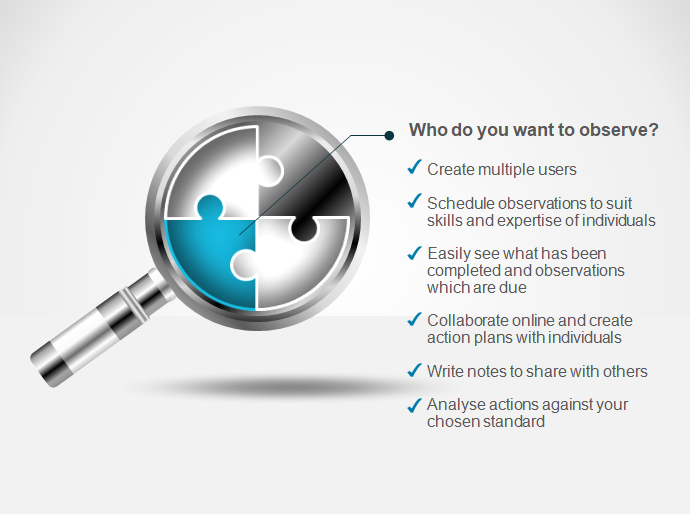 Each observee can collaborate with their observers, line managers and their support staff. You can control who can see, modify and contribute to the observees development. The observee has access to their own action plans so that they have the best possible chance to reflect on and improve their practice. Step 4 - Who would you like to carry out the observation? 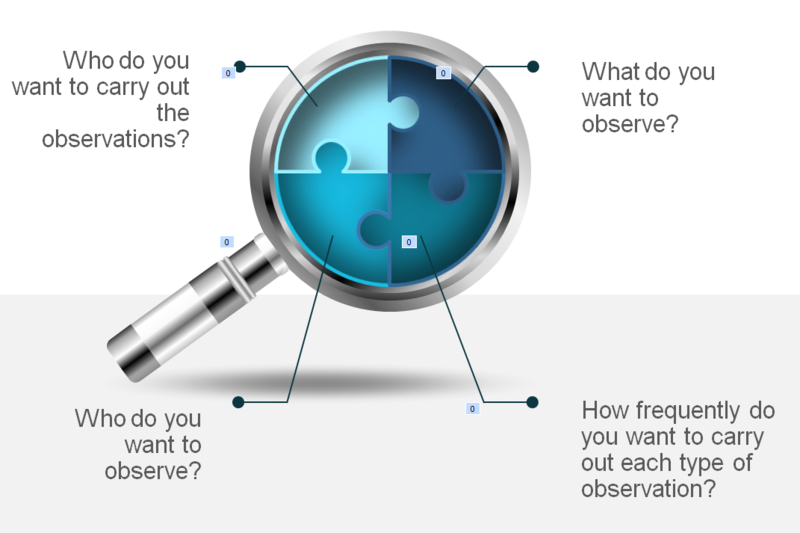 You can take control of what each of your observers is allowed to observe, for example; are they able to observe teaching, assessment, review meeting or all of these. This allows you to decide who is the best person to support the observee, make the most accurate judgement and develop the most effective action plan for the individuals. You can also engage your line managers by giving them access to the users records and allocate actions to wider support functions. If this article and associated links haven't answered your question please send us a chat message, we are here to help!